Management information at your fingertips for better decision-making. Comprehensive reporting with all the data you need. 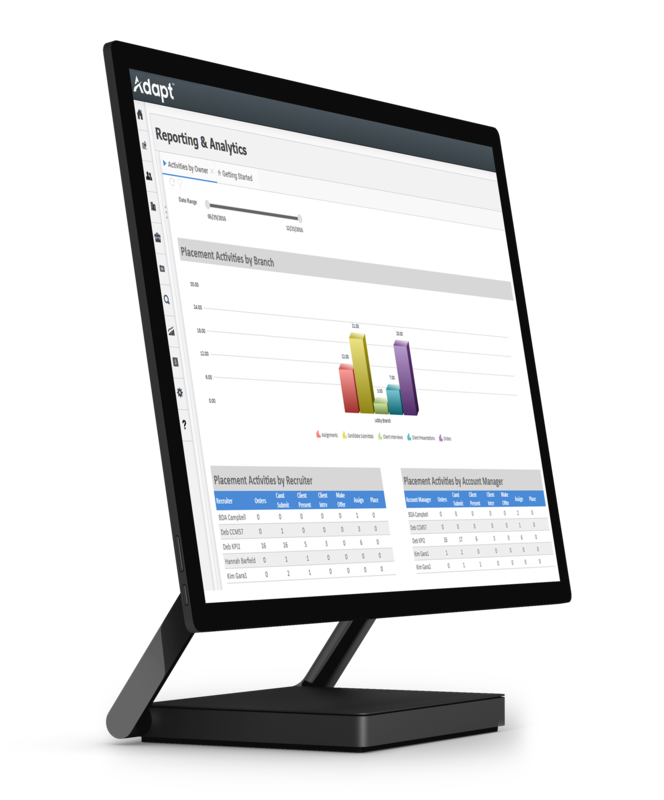 Adapt provides transparent performance management and insightful reporting to help you manage and grow your business. Configurable dashboards and comprehensive reporting provide all the data you need. Over 200 standard reports to guide your strategic direction, staff management, business and budget plans, as well as to assess client profitability and compliance. Activity driven management and decision making. Manage your team more effectively through complete real-time visibility of activities, including calls, interviews and candidate submissions. Taking the guesswork out of managing your recruiting team enables you to make objective decisions, and for your staff to better manage their own time too. Know exactly where to improve your strategy. Create KPI reports to track agreed metrics. Daily, weekly, monthly and yearly goals that can be visually monitored to show recruiting and sales team members specific areas for improvement and highlight areas in which they excel. One screen to manage all. ACA Studio Widget provides productivity tools in one screen to manage and minimize time spent on ACA administration. 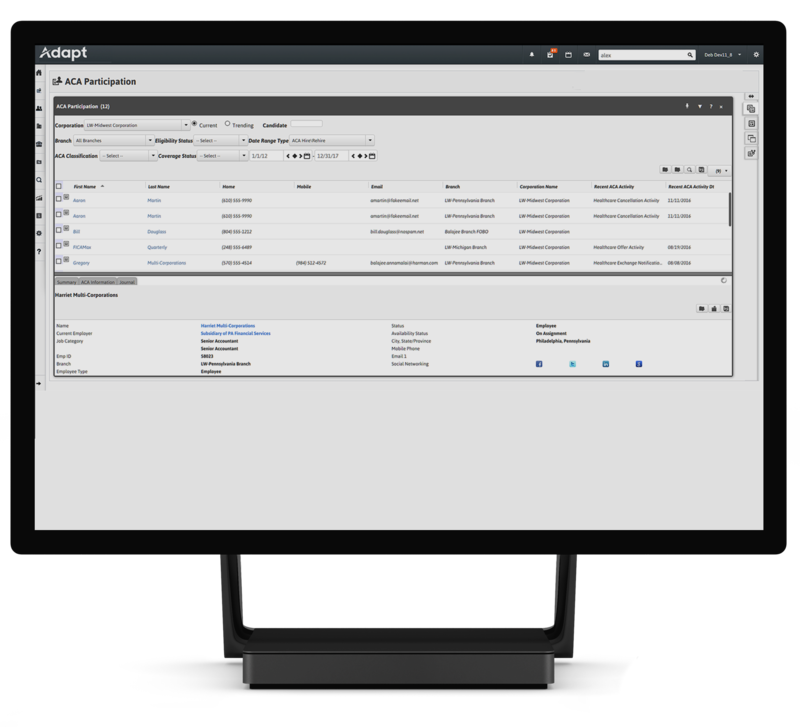 Adapt Transaction Searching enables you to search and combine both operational and financial data to analyze key performance indicators related to contingent payroll and billing. Get meaningful and insightful management information at your fingertips.